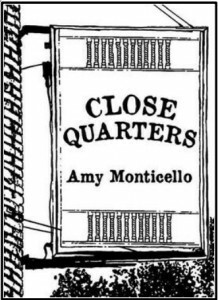 Amy Monticello is the author of Close Quarters, a memoir-in-essays (Sweet Publications, 2012). Her work has appeared in Creative Nonfiction, The Rumpus, Salon, The Iron Horse Literary Review, Brevity, and elsewhere, and has been listed as notable in Best American Essays. She is an assistant professor of English at Suffolk University, and lives in Boston, MA with her husband and daughter. Geosi Gyasi: How did you become a writer? Amy Monticello: I loved language at an early age, and the act of writing–even practicing my letters on that tri-lined paper–excited me. For most of my adolescence, I kept a thorough (and sometimes hyperbolic) journal. I began to take writing more seriously in high school when I edited my school’s newspaper, and switched from journalism to creative writing as a major at Ithaca College. It was there I realized that writing was more than a hobby I wanted to pursue on the side of something else–I wanted to try and make a life of it. Geosi Gyasi: Do you have specific audience you write for? Amy Monticello: Yes, but those audiences depend on what I’m writing. Also, the rhetorical nature of writing means I can’t always predict what audiences will feel implicated by something I write. That’s part of the surprise. Geosi Gyasi: What has been your biggest challenge as a writer? Amy Monticello: Time. My life is a triathlon of teaching, parenting, and writing, and they constantly compete. Especially since becoming a parent (my daughter is eleven months old now), I almost never have time to write in long stretches. I’ve learned to make the most of ten minutes here and there, and to write on my phone while on the train to work. 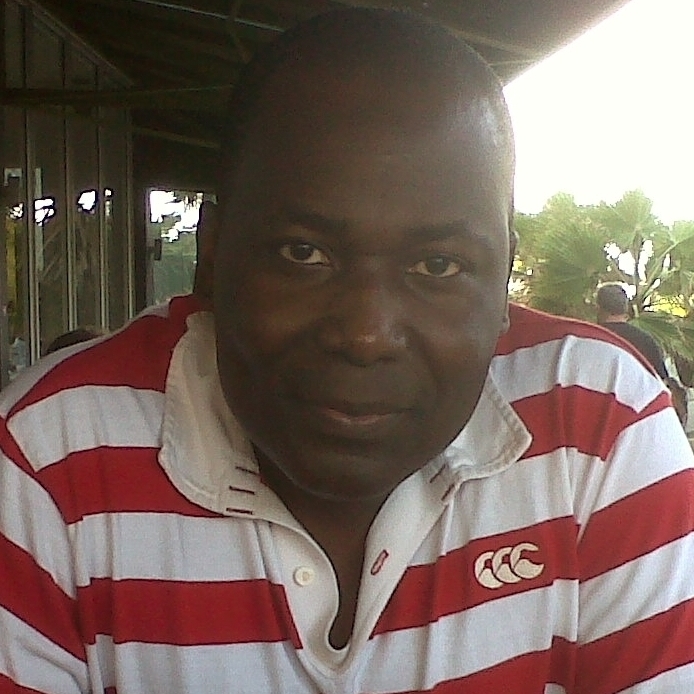 Geosi Gyasi: Is it that easy to write non-fiction? Amy Monticello: I don’t think it’s easy to write in any genre. Nonfiction is difficult, though, because it’s sort of deceptive. Real life provides the raw material, but that material needs to be shaped and shaded into something meaningful. You can’t just tell it straight. Geosi Gyasi: Do you earn enough from writing? Amy Monticello: I earn very little from writing by itself. But publishing did help my search for a tenure-track teaching position, which pays the bills. And earning tenure depends, in part, on continued publishing. So, they are intertwined. Geosi Gyasi: Do you ever get rejections from publishers? Amy Monticello: Oh, yes. Most of what I send out gets rejected. I’d say at least 85-90% of what I hear from publishers is rejection. And I think that’s doing pretty well. There’s a spectrum of rejection, from the form letter to the personal note from an editor who liked your work, even though they didn’t accept it. I consider some forms of rejection to be wins. They indicate if a particular piece is likely to find a suitable home, or if I need to take it back into draft form. Geosi Gyasi: Which writer(s) do you look up to for inspiration? Amy Monticello: The list is constantly in flux. Lately, I admire writers whose work embraces the contingency of their subjects: grief, disability, parenthood, pain. I read everything Heather Kirn Lanier writes (check out her incredible blog, Star in Her Eye). And everything by Eula Biss. Sarah Manguso’s mind thrills me. Sarah Einstein’s essays are exquisite studies in compassion. Laura Bogart’s writing about pop culture is magnificent. Liz Scheid’s book, The Shape of Blue, is a lyric stunner. Ta-Nehisi Coates levels me every time. I’m still reading The Atlantic because of him. B.J. 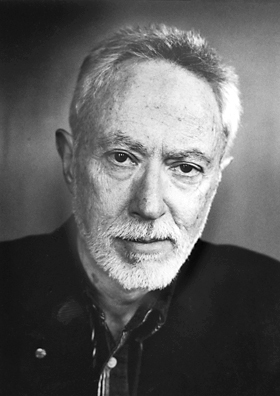 Hollars’ work has a huge range, but I always know it by its sensitivity and perspicacity. Geosi Gyasi: Is there any vast difference between non-fiction and essay? Amy Monticello: Essays are short-form nonfiction. They have many stripes and structures. They’re versatile and slippery, and that’s why I love them. Geosi Gyasi: You’re the recipient of the S.I Newhouse School Prize in Nonfiction. Could you tell us what this prize is about? 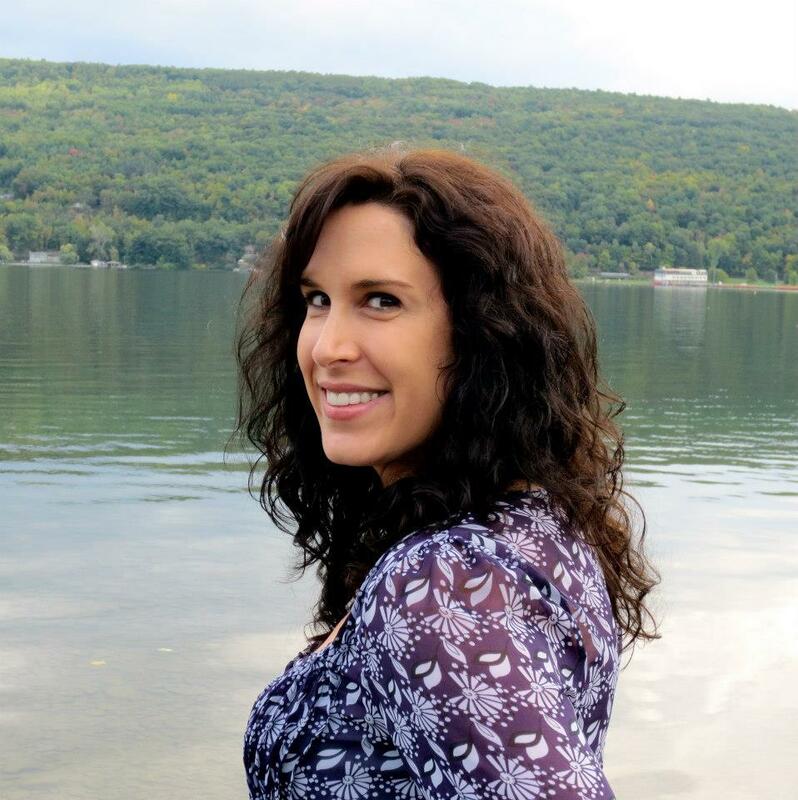 Amy Monticello: The Newhouse School prize is part of the annual award series from the literary journal Stone Canoe, which publishes writers with a connection to upstate New York (I was born and raised in Endicott, New York). Every writer whose work is accepted by the journal is automatically entered into the contest. Judges in each genre select winners from the year’s contributors. I was very fortunate and very honored to win in 2013. Geosi Gyasi: You’ve also twice been nominated for the Pushcart Prize. Do prizes matter to you at all as a writer? Amy Monticello: Nominations are lovely! It’s become weirdly taboo to say that, and I don’t know why. Winning a Pushcart is incredibly rare, but an editor at a literary journal believing in your work enough to nominate it is meaningful adjudication. These editors have a lot of work to choose from, and to know that your work was especially resonant means something. I’m always thrilled and thankful to be nominated. Prizes themselves are such long shots that I don’t spend much time thinking about them, and rarely enter contests, mostly because I’m too poor for the entry fees. Geosi Gyasi: Let’s move onto your book, “Close Quarters”. Could you tell us something about the book? Amy Monticello: Close Quarters is a memoir-in-essays published by Sweet Publications, which produces gorgeous handmade books that go on to become e-books once the print versions sell out. Close Quarters is about my father’s small sports bar by the same name, and his relationship with my mother after their divorce. My parents had a complex, but loving friendship for decades, and I wanted the book to challenge stereotypical representations of divorce as an acrimonious, family-destroying act. I wrote the original draft as part of my MFA thesis. Geosi Gyasi: How do you judge the success of a book? Amy Monticello: Sometimes, I’m not sure. I’ve read unpublished manuscripts by writer friends that affect me deeply, and I think they are already successful books. There are such few guarantees in publishing. A completed manuscript that moves its readers is a real accomplishment. Geosi Gyasi: You earned an M.F.A in creative writing at The Ohio State University in 2008. What inspired you to pursue an M.F.A? Amy Monticello: Two things: 1) I wanted the three relatively unencumbered years of an MFA program for writing within a community of mentors and peers. Writing can be an isolating practice, and MFA programs can really underscore the importance of community for a writer. 2) I wanted the teaching experience that came with the assistantships offered at the programs to which I applied. During my undergraduate years, I did a little volunteer teaching at a local juvenile detention center, and I knew I wanted to teach as a profession someday. The MFA degree felt like the right combination of educational experiences for me. Geosi Gyasi: What event(s) do you remember most about your student days at The Ohio State University? Amy Monticello: Oh, my. Those three years were quite magical. I met my husband in the program, right at the outset of my first year, and I still remember the party where we had our first real conversation. I also remember certain days in workshop, where my professors—most notably, Lee Martin, Lee K. Abbott, and Erin McGraw—said something that permanently changed my process. I remember many essays written by my classmates that set the bar higher for my next essay—I can still quote from some of those pieces, and I feel a special giddiness when I run across those pieces in literary journals or in my friends’ now-published books. OSU’s program is also a highly social one, and I made friends over beers at the now-closed Larry’s bar in Columbus that I love like family. Tons of quotable conversations there, too, some of which aren’t suitable for the Internet. Geosi Gyasi: Could you tell us a bit about your piece, “Shame”? Amy Monticello: “Shame” is a tiny essay—a flash essay, published in Brevity—about a giant emotion that governed much of my pregnancy. I wanted to confront the kind of arrogance it takes to have children. We live in a society that deifies parenthood, especially motherhood, and yet there were times not all that long before I became a mother where I could barely take care of myself. During pregnancy, I had a sense that I didn’t deserve the privilege of raising another human being, and yet a part of me also knew that wasn’t fair, that the mistakes I’d made in my early adult life had taught me about empathy and forgiveness and self-acceptance. All things I prioritized in the parent I wanted to be. I also wanted to draw a line between the baby inside me and the father I had recently lost. My father lived a life ruled by regret, but he was also this incredibly sensitive and compassionate parent whose mistakes were often made from the same place of vulnerability that made him wonderful. Geosi Gyasi: I am also much particular about your piece, “Communing with Cancer”. Could you tell us something about it? Amy Monticello: “Communing with Cancer” is about losing my father to renal cell cancer at the same time my husband and I were trying to conceive. I wanted to make a metaphor out of caring for my dying father—something that happened rapidly as the cancer quickly progressed—as a form of parenting and preparation for a baby that was taking a long time to come. I tried to weave these two narrative strands, along with a lesser strand about euthanizing my mother’s horse, in order create a braided essay about the magical thinking surrounding birth and death. Geosi Gyasi: Do you mind telling us how you came to love dogs and cats? Amy Monticello: I mean, really, why choose? Cats and dogs are different, wonderful and frustrating in different ways. I grew up with both at home, and we also had horses, goldfish, and, briefly, a hamster. My mother and I are both animal lovers, and I just can’t play favorites when it comes to fur babies. I’d also have a fox and an owl and a raccoon, if I could. Geosi Gyasi: Could you give us a gist about your forthcoming work, “The Way I love You”? Amy Monticello: You know, that title has been a sort of placeholder title for a couple of distinct projects. The book I’m working on now is a set of linked essays about pregnancy and grief (the aforementioned essays above are part of this), and how some events in our lives launch permanent changes in who we are. I want to show how desired change, like having a planned child, can be excruciating and isolating, and how unwanted change, like losing a parent, can be punctuated by unexpected joy. I also want to explore how we hold mutually exclusive wishes in our hearts. For example, so much of what my husband and I have been able to give our daughter is due to the resources generated by my father’s estate. And yet, I’d give it all back if it meant he could participate in her life. Geosi Gyasi: You’ve also been a book reviewer at Kirkus Media. Which books did you read and reviewed? Amy Monticello: I wrote reviews for self-published books, which was a fascinating job. It gave me an inside view of a publishing model I expect we’ll see gaining legitimacy in the years to come. I read many memoirs of varying quality, but also a couple of books by real scholars with theories about cancer treatments and plant cell biology and religious zealotry. Geosi Gyasi: Do you have any question to ask me? Amy Monticello: Yes! What essay or book by a Ghanaian author should a teacher of nonfiction include on her syllabus? Geosi Gyasi: There are a number of recommendations. Here are a few of them: The African Predicament by Kofi Awoonor, The Eloquence of the Scribes by Ayi Kwei Armah and Transcending Boundaries: the diaspora experience in African heritage literatures by Kofi Anyidoho. This entry was posted on Wednesday, March 4th, 2015 at 10:13 am and is filed under Uncategorized. You can follow any responses to this entry through the RSS 2.0 feed. You can leave a response, or trackback from your own site.